You can add one more gold medal to the United States' roster of achievements. On Saturday, the International Mathematical Olympiad — a two-day competition for high school mathletes from across the globe, held in Chiang Mai, Thailand — came to a close, with judges awarding this year's top prize to a group of six American students. It was a historic moment, given that the United States hadn't taken home the title in over 21 years. One glaring caveat stood out like a sore thumb, however. Among the group of dedicated U.S. mathletes, where were all the girls? "That's actually something that one hopes will change," said U.S. Head Coach and Carnegie Mellon professor Po-Shen Loh, explaining to NPR News on Saturday that the "top 12 people in the country on the United States Math Olympiad happen to have two girls in it." "One might say, 'Only 2 out of 12, that's terrible,'" Loh added. "But I should say in many years, it was, unfortunately, zero." So what gives? According to Loh, the fact that mathematics is generally portrayed as a simple, black-and-white memorization game has actually hurt the field, contributing to the lack of allure for most students. "It could be that maybe the way math is sold, in some sense, is one in which it's just a bunch of formulas to memorize," Loh said. "Ultimately, I think that as the mathematical culture starts to reach out to more people in the United States, we could quite possibly start to see more diversity ... I think that would be a fantastic outcome." According to an international study by the Organisation for Economic Cooperation and Development in March this year, girls across the globe routinely lack self-confidence when it comes to completing math and science problems, despite outperforming their male classmates in most other areas of study. Much of that confusion, said researchers, stemmed from a lack of parental or guardian support at home when it came time to encourage academic pursuits. What emerges from these analyses is particularly worrying. 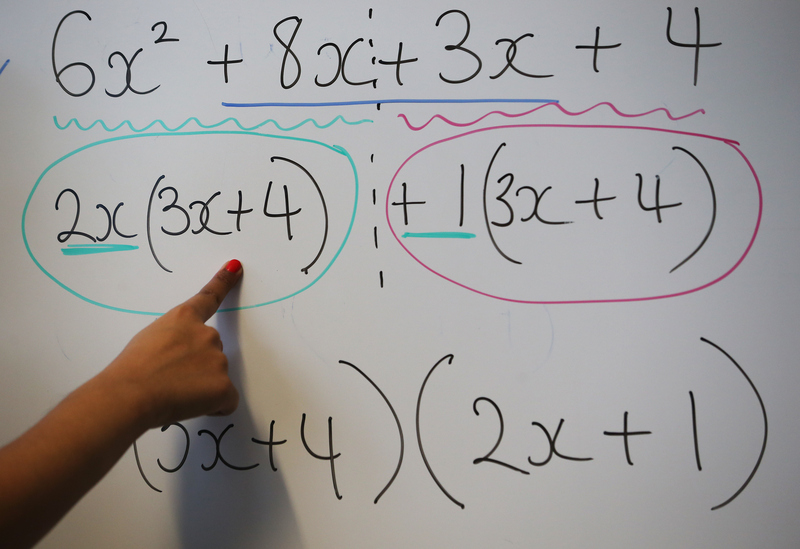 Even many high-achieving girls have low levels of confidence in their ability to solve science and mathematics problems and express high levels of anxiety towards mathematics. If girls don’t believe in their aptitude for certain subjects, why would they continue to study those subjects when they are no longer required to? "Certainly there's been a stereotype that boys are better at math that's been around for decades," said study author Dr. Janet Hyde, a psychology and women's studies professor, in a statement published in the journal Science that month, explaining that that stereotype did massive amounts of damage to girls' self-esteem and later career choices. Teachers have been calling me and telling me, 'Yes, you're right, that's exactly what I've seen in my classrooms.' There's no difference. At the very least, we can cross our fingers and hope the tide is changing in time for next year's competition.